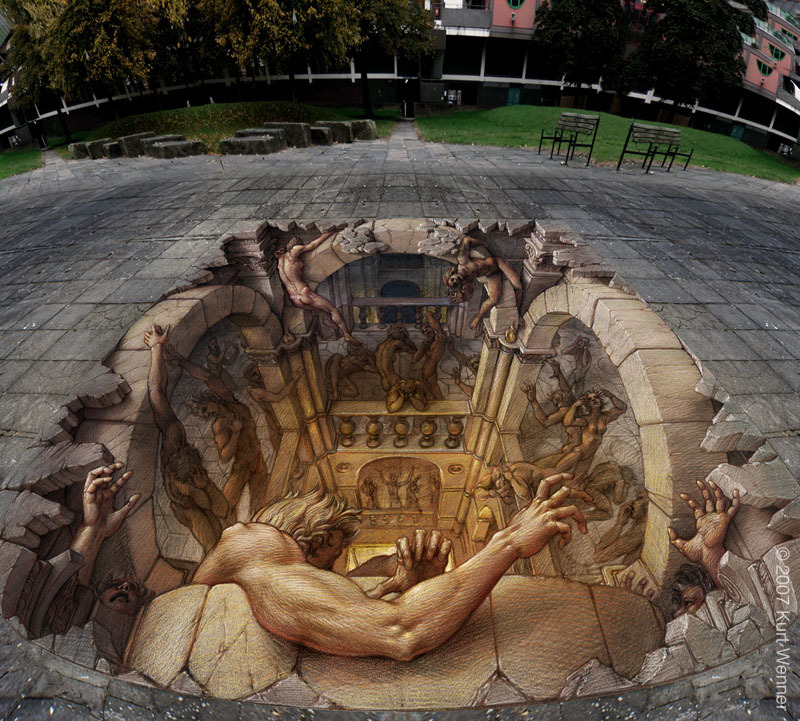 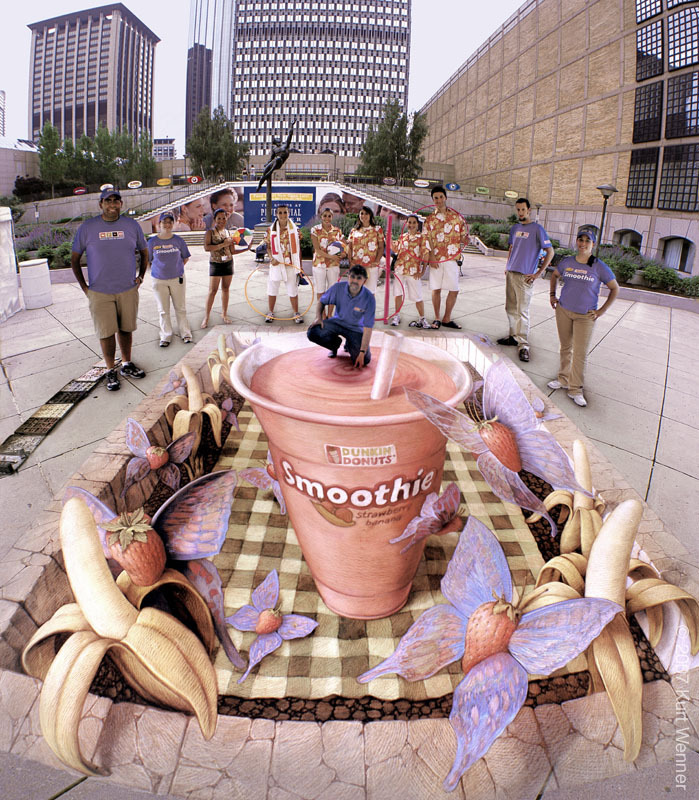 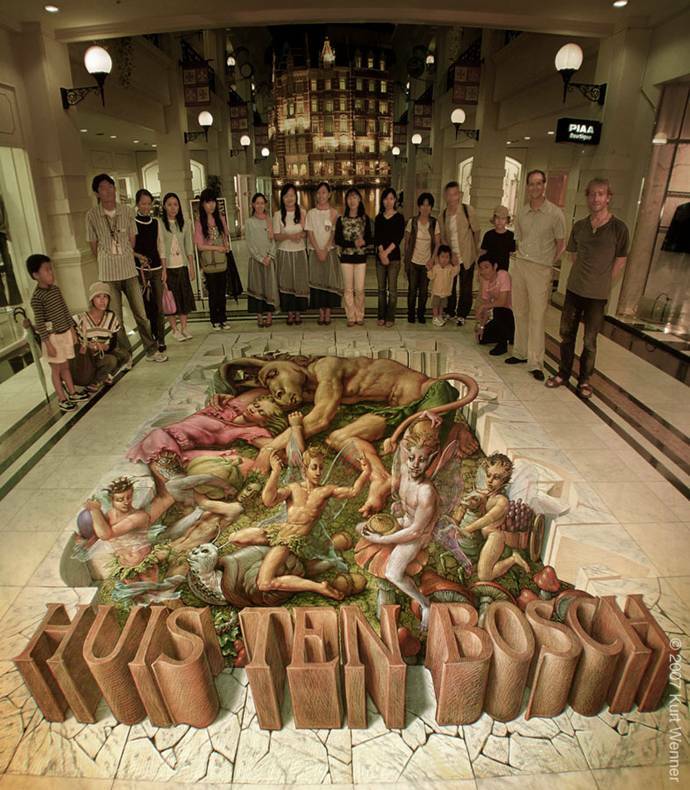 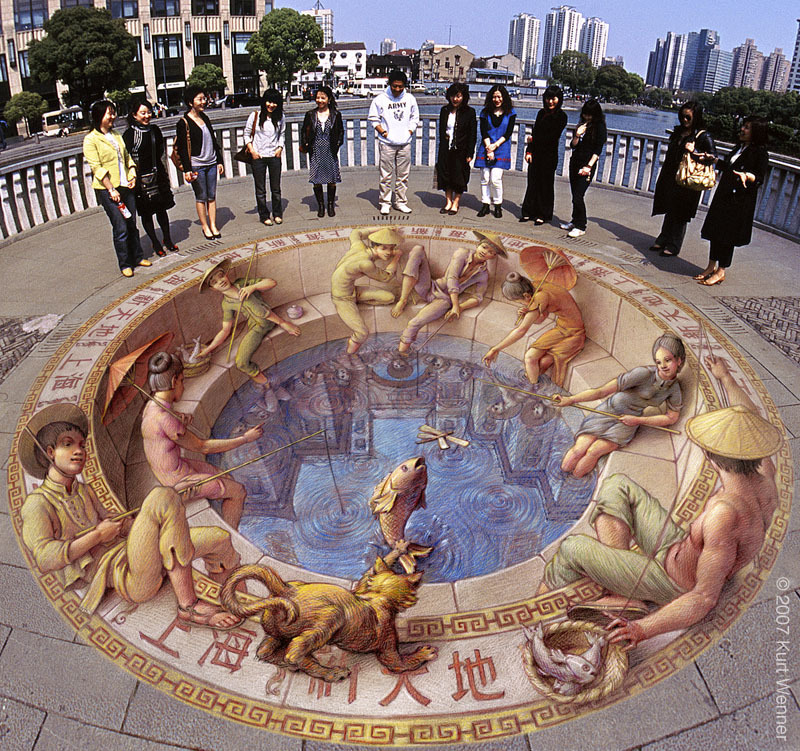 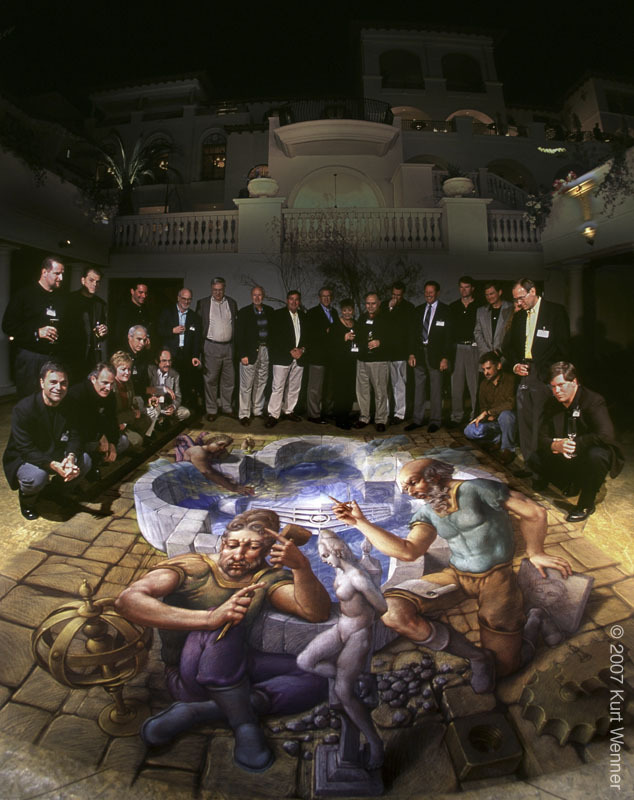 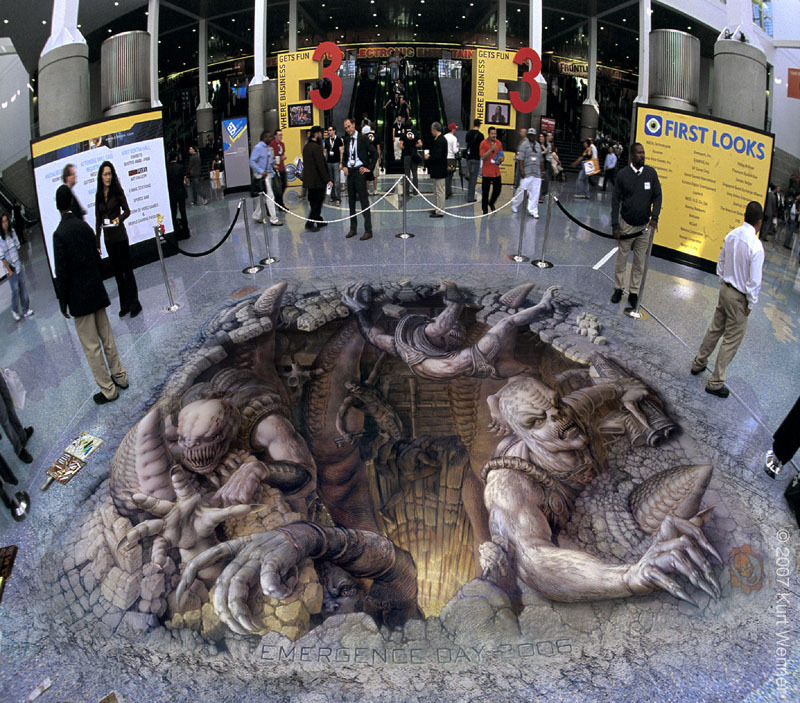 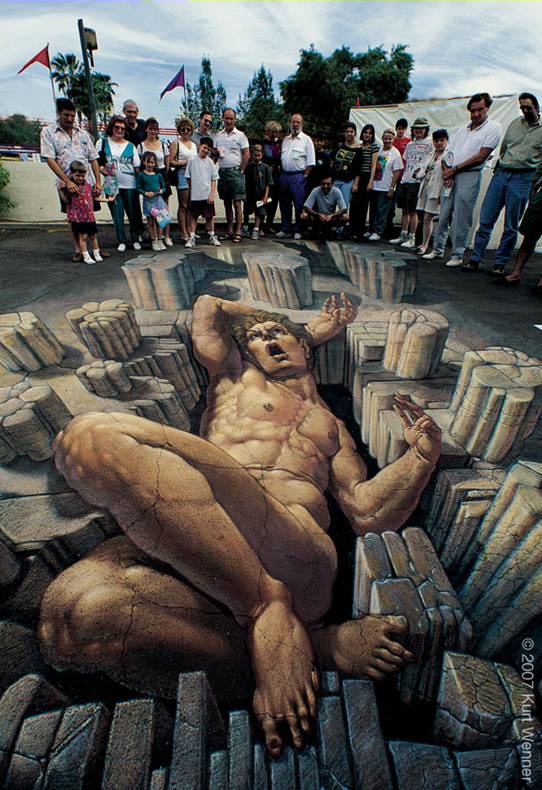 Kurt Wenner is a master artist famous for creating amazing, high quality street painting and 3D chalk drawing. 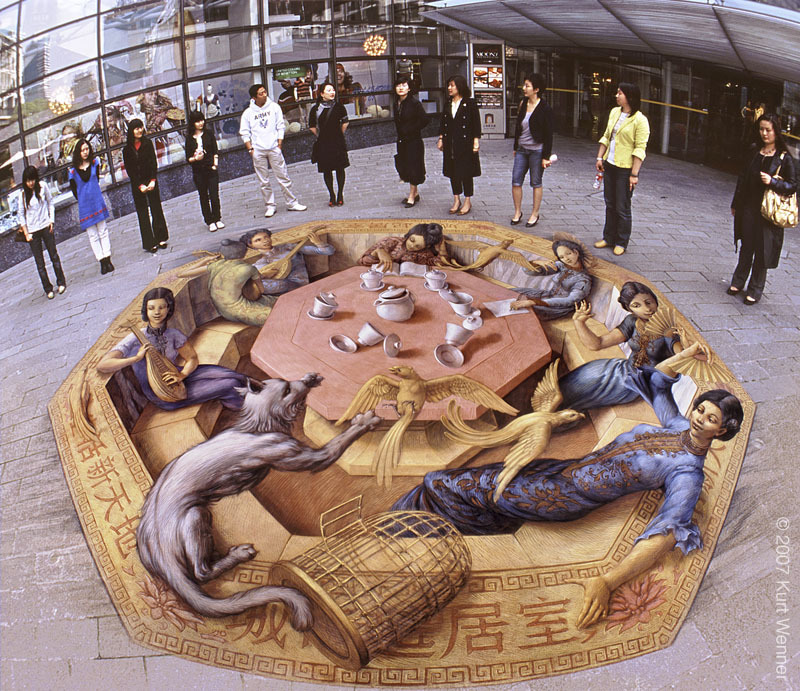 Wenner’s work has received global media attention and his artwork have been seen on Good Morning America, ABC’s World News Saturday, and TWA and Pan Am’s in-flight programs. 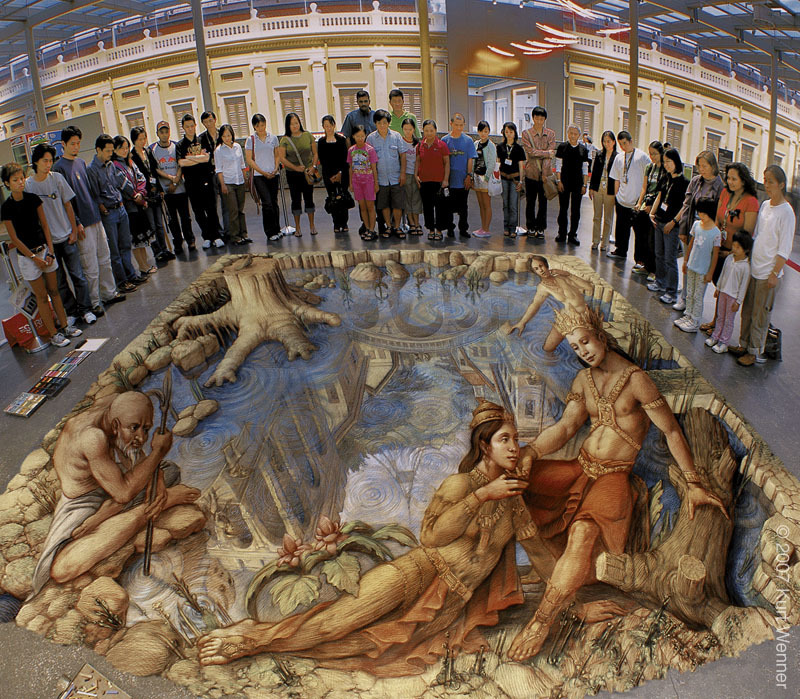 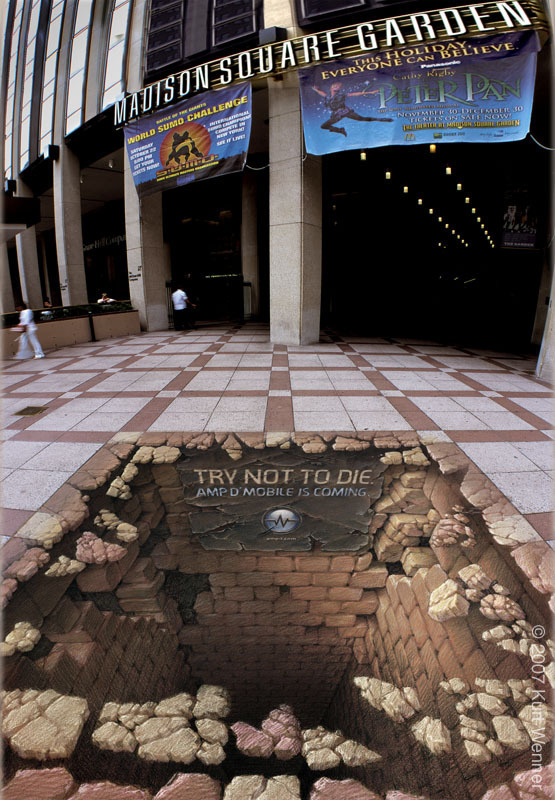 Wenner’s artwork is rather similar to Julian Beever’s 3D road painting. 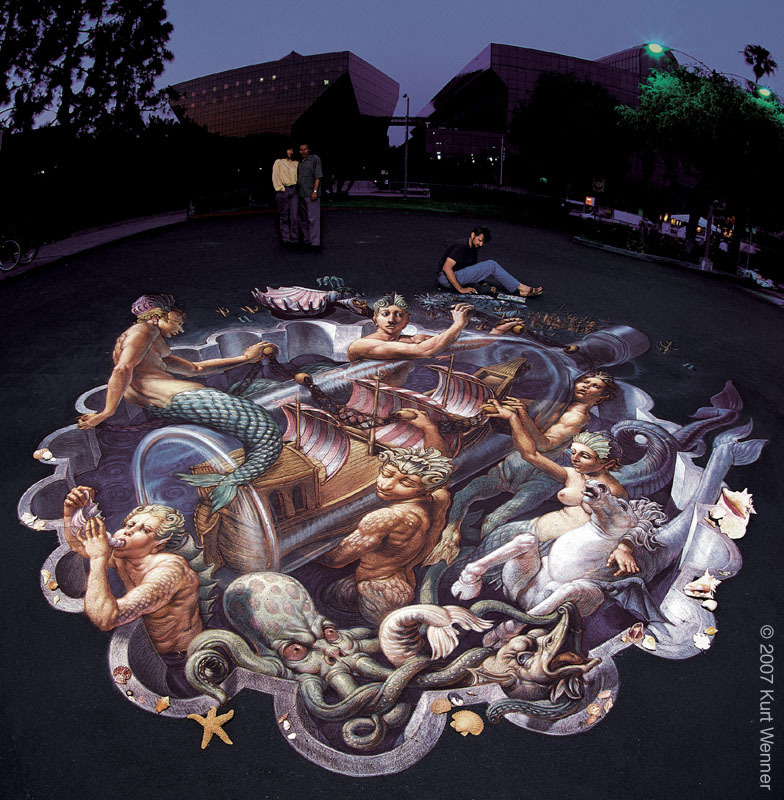 But, what sets them apart is that Kurt Wenner incorporates the traditional street painting techniques and his passion in classical and renaissance art. 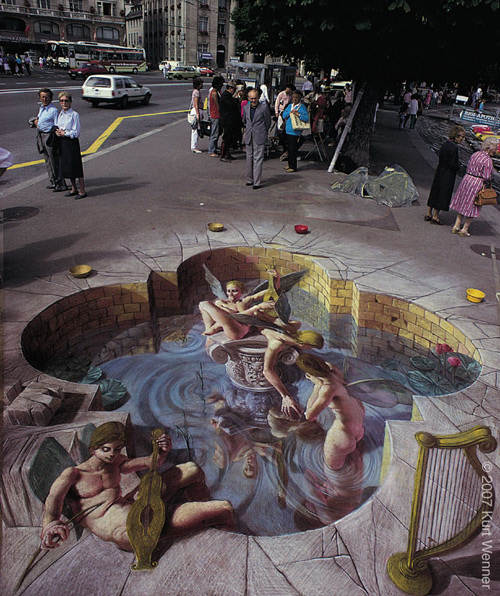 Thus, creating unique art form of his own, A world where fantasy and reality combine.